Nokia 2.1 – Minor With Qualities Of Elders! This year Nokia planned that 2.1 will be the their entry level phone which is going to debut along with other two device in next few days. This phone is youngest member in the family and you can say that Nokia 2.1 is the only device in three which has Snapdragon 425 chipset. This phone is going to launch in old fashioned way where its screen size is 5.5 inches but Nokia 2.1’s resolution will be 720 x 1280 pixels which mean that it lacks full vision screen and it only support high definition display. Aluminum frame is used in finishing of the side while Nokia molded 2.1 back with plastic material that look like solid material on its back. This is going to launch in three colors that include Copper and Blue, Blue and Silver, Grey and Silver. Nokia has attached an Adreno 308 GPU inside the 2.1 to tackle all kind of graphics no matter they are games or applications. Processor of the gadget is consist of quad core with a clock speed of 1.4 GHz. 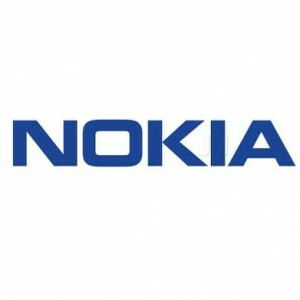 Nokia’s 2.1 is using cortex A53 to keep the harmony between energy consumption and performance. 1 GB of RAM is going to look after your application launch speed where 2.1 has only 8 GB of ROM for storing Android operating system Oreo and all other data. Dedicated SD card slot has offered its services to distribute the load of internal storage of 2.1 and limit of external storage is 128 GB. Camera department of the phone is equipped with sharp 8 MP lens on the back side which has support of LED flash and autofocus while front cam of 2.1 is 5MP only. This phone is an entry level phone that’s why it does not carry any fingerprint scanner so you have to relies on old method of protection in 2.1 by Nokia. Battery of the phone is really massive consist of 4000 mAh and just like all other device it is fixed inside the belly of this phone which make him non removable. Nokia 2.1 is best phone of its price range. Huawei Y5 Lite – Budget Friendly Champion! Huawei Lite got 5.45 inch display that provides a better result while watching movies and videos and you will get the IPS matrix to view things on the Huawei Y5 Lite’s display. Selfies will get the sharp and brighter look with front facing LED light placed right next to the 5 MP camera of the phone. Back camera of the phone is 8MP that gives Y5 Lite by Huawei free hand to get better and improved images even in low light and to focus objects this smartphone is using the Auto focus. This phone is launching with Go Edition of Android that gives Y5 Lite’s software a plus point to run all the apps even its RAM is only 1 GB. Android Oreo 8.1 OS is used to run trough the veins of this phone. Huawei Y5’s Lite got 3020 mAh battery that make sure that you will not run out of power after a short time of instance usage. Ambient Light sensor is also provided in this phone which adjust the light of Huawei Y5 Lite automatically according to sunlight condition. This phone is launching with two color options that includes black and blue colors. Huawei’s Y5 Lite got dimensions of 146.5 mm in height and width of this smartphone is 70.9 mm where the thickness of the phone is 8.3mm. Vivo Y81i – Massive Display With Cool Features! 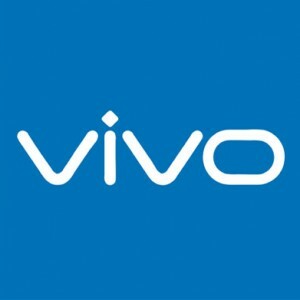 Hints about Vivo new generation Y81i are in the air that this phone is successor to the last year phone basic phone which was first one of kind with Notched display in its class and now Vivo Y81ii is going to continue legacy of that phone and keeps the Notched display but now new features are added in different departments of this phone that includes the AI powered camera of Y81i which is going to improve the picture quality of your phone’s camera. Face beauty feature is added to the front camera which is bringing huge change in photography of Vivo’s Y81i and now your face will look even more and more better and your image will be ready to upload on social websites without any kind of further editing. Back camera of Vivo tagged Y81i is 13 MP consist of clear lens capable to capture rich details photos capable to get their place on your memory wall. New feature is also added in Y81i which we saw in Samsung’s devices before and now this brand is also bringing that feature in their devices and that feature is Motorbike mode which is going to manage Vivo Y81i’s calls and message automatically until you allow him to take important calls by stopping your bike to side of the road. Old but improved face unlock technology is also coming in Y81i which is going to secure your data and keep your phone out of everyone’s else access. 6.22 inch display of the phone only support HD Plus resolution but display screen of the Y81i by Vivo is stretched to the edges leaving very small bezels on side and top of the phone where the bottom of the phone have some bezels but it still looks very pleasing. Vivo planted MT6762 Helio P22 chipset inside the new Y81i which is lots more better then the last year’s chipset and RAM of the phone is 2 GB which is enough for multi-tasking and internal storage of the Vivo Y81i is 16 GB only backed up by SD card too. Huawei Y6 Prime 2018 – New Vision With Less Boundaries! Huawei removing boundaries in upcoming Y6 Prime because its new trend in 2018 which was introduced by Samsung at the first time but after that it was followed by the LG and now this brand has started the mass production of Full Vision Display. Prime 2018 is going to be one of those devices that we are going to watch as the topper in its series not only because of its new display but other things of the Huawei Y6 Prime 2018 are also changed like the design of the device is also revised and instead of old solid smartphones now you will get the slimmer devices like our today’s hero Y6 Prime 2018 by Huawei. This phone has decreased its weight to improve its looks and give something new to its mad audience who always trying to criticize all the devices. Huawei Y6 Prime’s internals are different too as compare to its elder sibling that we already saw yesterday. Snapdragon 430 which is made for this type of devices. Huawei’s Y6 Prime 2018 brought special processor which has a clock speed of 1.4 GHz. 2 GB of RAM has ability to tackle the heavy application without hanging the whole device. Huawei Prime 2018 has 16 GB of native storage comes built-in by company. SD card option is stayed opened because some techie users always want extra storage for their smartphones. Y6 Prime 2018 has Oreo operating system installed out of box which is 8th version released by Google yet and this phone has managed to get a copy for itself. Huawei Y6’s Prime 2018 will be coming to market in three beautiful colors that includes black, blue and gold and each colors has its own grace. Honor 7A – Expanding Business! Subsidiary brand Honor spills that 7A is on its way to give a tough competition to Huawei Y7 Prime 2018 which is in pipeline and going to launch soon all across the Pakistan. To do the business Honor 7A changed its screen size but all the other specifications remained same to the device revealed by Huawei just few days ago so you can say that they bring the same device but named it Honor’s 7A so they can reap profit for their own wing. In the poster they also revealed that what else will be special packed inside this phone. Face Unlock is given by Honor to secure the loose bio metric system of 7A. To make the sound loud now dual speakers are planted at the bottom so you can listen the clear sound in all the directions. Dual camera is often seen now in all devices of this brand and 7A has also made a place in list of those who have qualified for the dual camera setup for the backs side. 13 MP main lens is going to take the help of 2 MP lens so 7A will capture the reality in the image. Selfie camera did not passed the test that’s why it is dropped from the dual camera on the front side but still it has managed to get 8 MP sensor for 7A. In other specifications you will get Snapdragon 430 chipset which is an entry level chipset backed up by 3 GB of RAM. Internal storage of Honor manufactured 7A is 32 GB but still it is backed up by the SD card so you have the option to expand the internal storage further with help of SD card. 3000 mAh battery of Honor 7A is also identical to subsidiary brand phone. Android operating system is always the best choice for smartphones that’s why it has the Oreo 8.0 creamed with EMUI 8.0. Honor 7A’s dimensions are also revealed by the source and it says that it is 152.4 mm in height while width of its sides is 73 mm and thickness of the device is 7.8 mm so you can say that 7A by Honor is slim and smart with ability to beat Samsung. Huawei Y5 Prime 2018 – Launched Under The Flag Of Android Go Program! Huawei met with Google for Y5 Prime to get Android Go in 2018 so you can say that the entry level smartphones form this brand will launch under Android Go program for better performance with entry level specification. Huawei Y5 Prime 2018 is not only one to get such type of treatment but other brands also there to introduced their devices under this program and compensate their middle class users. 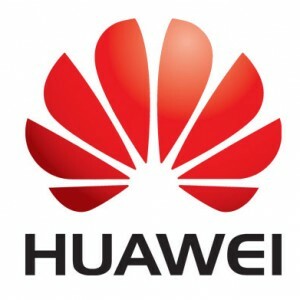 Huawei’s Y5 Prime 2018 has played a big card for brands like Samsung because they always think about upper middle class peoples who can afford high end devices but Huawei Y5 Prime’s approach is to make sure that those who cannot get high end devices will enjoy the benefits of Android’s latest OS like Oreo which is only available to handful of device but now Y5 Prime 2018 by Huawei will have it too for itself which is achievement for this Chinese brand. In list of specification you will get the 5.45 inch of Full Vision screen for Huawei Y5’s Prime 2018 packed with a mind blowing resolution of 720 x 1440 where the pixel density of the display will be 298 pixels per inch. This phone is suppose to come in two variants. Huawei Prime 2018 has 2 GB of RAM that suppose to come with 16 GB of internal storage backed up by the 128 of secure data card to expand storage. Y5 Prime 2018 has packed 13 MP sensor to handle the photography with its back camera while on the front side you will get the 5 MP sensor to tackle the selfie department of Prime 2018. 3020 mAh battery is going to make sure that your phone will stay alive for longer time on a single charge. Samsung is going to introduce Galaxy J4 which was missing for a very long time form this series. Now after a long time they have decided to launch this phone at very critical time. Samsung Galaxy J4 is going to be side kick of flagship standard Samsung Galaxy S9 duo smartphones that we are expecting to launch at MWC 2018. Not very detailed but some important Samsung Galaxy J4’s specifications are revealed in this post and on top of the shelve you will see the Android Oreo operating system. This phone is going to inherit it out of box and Samsung J4 is going to be the first mid ranger with this type of operating system. Not any other device form this range is going to launch with such kind of software yet. Samsung’s Galaxy J4 is having a 2 GB of RAM that will make him strong against the heavy application traffic and it will keep the things running smooth without any trouble. Galaxy J4 by Samsung got Exynos 7570 Quad chipset which is homemade chipset of this brand. Four units of processor have the clock speed of 1.4 GHz. Cortex A53 is still used in Samsung Galaxy’s J4 that will keep it cool and it will control the flow of energy according to the needs of the device. Screen size of device is standard 5.5 inches and Galaxy J4’s matrix is definitely Super AMOLED which is almost coming in each and every device from this brand. Resolution will be 720 x 1280 pixels which mean that Samsung Galaxy J4 is not going to get the Full vision display or Infinity display which is quite trendy in on going days. Well now a new version of this phone is launching with Infinity display and its name will be Samsung Galaxy J4 Plus. OPPO A3s – Bigger Battery, Dual Camera & Bigger Display! House of OPPO has unveiled A3s which is going debut as successor to recently reveled phone which has the same name but the “S” word is missing from the name of that phone. OPPO A3s is speculated to the rebranded version of OPPO A5 but it is not yet clear that what is the true story behind the curtain but for now it is most important that this new phone named as OPPO’s A3s is going to get launched with flagship phone OPPO Find X in Pakistan just after One day from now. As far as the specifications of this smartphone are concerned OPPO A3s’s display is consist of massive 6.2 inch display which support full Vision display and Notch is also present on the top which is quite trendy feature in now days smartphones and OPPO armed A3s with the Notch too following the prevailing trend of the market. As far as the resolution of the phone is concerned 720 x 1520 pixel resolution is used by OPPO which is not quite good for screen of A3s but still it can make the things look brighter and beautiful from all of its angles. Most of users always complaint about the battery of phone that’s why A3s has got 4230 mAh bigger battery which is going to meet all your needs without any kind of complaint. Qualcomm SDM450 Snapdragon 450 is going to carry octa core processor of A3s which has the amazing clock speed of 1.8 GHz. Adreno 506 is also tagged along with the processor which has the job to enhance the graphics of the new A3s while running different games and apps. 16 GB of RAM is coupled with 2 GB of RAM and internal storage of the phone is backed up the SD card too and to make things even more better A3s by OPPO has dedicated SD card slot which has the capacity to expand the internal storage up to 256 GB. Dual cam is present on the back side of the phone while front side of OPPO A3s is armed with 8 MP lens. China based Vivo announced the Y81 in the various countries and now it is going to come in Pakistan to toughen the mid range smart phone competition where already there is a lot competition going on in market. Vivo Y81 have flat back side with antenna lines placed on top and bottom side to pass through the signals properly where on the front side of the Vivo’s Y81 you can clearly watch that the Notch is placed on top which is carrying the front 5 MP sensor which can be used to unlock your phone with its face unlocking technology. Vivo Y81’s display is Full Vision housing HD Plus display with resolution of 720 x 1520 pixels. Screen size is too much stretched which mean that IPS panels based display of Vivo made Y81 is 6.22 inches that seems to be too much big screen for its price but still you will get the bright pixels setting while watching movies and videos. 13 MP back camera of Y81 is quite good in taking bright pictures. Helio P22 is reliable chipset in handling all kind of performance related things and on top of this chipset octa core processor is embedded. Y81 has 2.0 GHz clock speed and number of RAM used in the phone is 3 GB while internal storage of the phone is armed with massive 32 GB and built-in storage of Y81 is backed up by the SD card too which has capacity to expand the internal storage up to 256 GB. Battery power of the phone is 3260 mAh where the Chinese brand Vivo has tucked the battery inside the back of Y81 to secure it from the tempering or outside access. Android OS is the used as the base for the Fun Touch OS 4.0 and for the base Oreo 8.1 version of the Android is selected. Y81 by Vivo inherit look from its elder brothers where its slimness will keep you comfortable while carrying this phone in your hands but if you want to tuck Vivo Y81 in your pocket then you have to work hard. Samsung Galaxy J4 Plus – Infinity & Emotify! Samsung bringing infinity display to Galaxy J4 with load of fun and Plus version is the lucky one to get this new true infinity display for itself. As we all know the Korean giant is losing ground slowly but bringing Infinity to an entry level Samsung Galaxy J4 Plus is a bold move made by this brand. Huawei was quite active in Pakistan but it seems that we will see a neck to neck competition with the launch of Samsung’s Galaxy J4 Plus. As the matter of fact this new phone is going to get on top position because something new is gonna hit the market and that thing is the Samsung Galaxy J4’s infinity display. Single camera is gonna make appearance in on the backside of the phone equipped with new feature named “Emotify” which bring new range of emojis for Samsung J4 Plus to have some fun by expressing yourself in different way. Display of the phone will be more bold because Super AMOLED panel is used in as the matrix for Galaxy J4 Plus by Samsung. 6.0 inch display is gonna make things more attractive and now there will be more space to watch your favorite movies clearly. HD+ resolution of Samsung Galaxy’s J4 Plus is dubbed as the true resolution so it seems that we are going to meet an amazing phone with some best specs at an entry level point. Galaxy J4 Plus seems to the last one form this series because time has come when this series is going to merge in “A series” where a new “M series” is also coming in market with some stunning features. J4 Plus gonna make the things great for this brand because this type of things happen sometime in the history. Huawei send invites to launch Honor 9 Youth variant coming as the Lite version the device that was launched earlier by the subsidiary brand of this company and now they have announced that on 31st December they are going to launch Huawei Honor 9 Lite as the lighter variant of this high end device. News came out China that this phone is going to launch in an event in Shenzhen and after this Huawei’s Honor 9 Lite is going to debut in all the leading markets of the world. Before its official announcement TENAA revealed all most of the specifications of this device and its showed that Huawei Honor 9’s display matrix is wrapped inside the 5.65 inches of diagonal and one more thing which is going to make you crazy is that it is coming with 18:9 aspect ratio. Honor 9 Lite by Huawei got FHD plus resolution with 1080 x 2140 pixel resolution. Samsung is still king of the ring but it seem that this brand has also improved its display to make Huawei Honor’s 9 Lite even more better for an ordinary user. 13 MP back camera got the support of additional 2 MP sensor to take the photography to new heights. Huawei 9 Lite got Company’s own chipset Hisilicon Kirin 659 to implement all of its power in a proper way and keep smart phone active all the time. One unique feature of Honor 9 Lite is Artificial Intelligence chip which is going to make it capable to take the decisions in favor of user that what next is going to do the user. It has also improved the camera applications of 9 Lite where it make decision to when is perfect time to click image. OPPO A3s 3GB – Speed Up With Faster RAM! OPPO is going to introduce A3s 3GB variant which is going to hit the market soon and this new variant is more powerful because RAM of this smartphone will get an extra gig that will make the OPPO A3s 3GB more efficient while running different applications and with such power you can run heavy graphics games quite easily. Extra gig of RAM is not alone in the OPPO’s A3s 3GB but built-in storage of the phone is also extended and in this new version 32 GB memory will be more spacious and now you can easily store tons of data in OPPO A3s 3GB’s memory and if you think that extra 16 GB memory is still not enough for you then you can expand internal storage of the phone with the help of the SD card. A3s 3GB by from OPPO got 6.2 inch display and which is capacitive and it also support multi-touch up to 5 fingers at the same time. In-Cell IPS display is used by this brand to make the display of OPPO 3GB productive and attractive and it also helps to keep the price of the smartphone low. Resolution of the display is 1520 x 720 which mean that resolution of OPPO A3s’s 3GB is HD Plus. This phone is chromed with two decent colors which includes Dark Purple and Red colors. Software of this phone is Android OS Oreo A3s 3GB’s user interface is Color OS 5.1 which is latest OS yet introduced by this brand. Qualcomm Snapdragon 450 chipset is used to power up this brand where Adreno 506 GPU is handling graphics of OPPO A3s 3GB. 4230 mAh battery is reliable source to keep the phone alive for longer time. Family of Vivo is launching Y91 in Pakistan which is a mid range device that focuses the moderate budget people who cannot afford high end devices with sky high prices. Today Vivo showcased Y91 with some glorious and amazing changes that we have never seen before in any mid range device in such price range. This brand always stays in headlines and now new smartphone Vivo Y91 is gonna make some headlines with its new design. If we talk about some highlighted specifications of this smartphone then water drop notch is the main attraction of Vivo’s Y91 which has changed the look of display and now there will be wider screen with smaller bezels and there will be more space to run your games more comfortably. Vivo Y91’s display size is 6.22 inches which is bigger then most of the devices form this price range where if we talk about the resolution of the display the you will see that Vivo has selected 720 x 1520 pixels resolution for the Y91 with total pixel density of 270 pixels per inch. IPS matrix is used to power up the screen instead of the AMOLED display from Samsung which they are using in high end devices. Y91 is though a solid hit in smartphone market with lots of fans who prefer nice looking smartphone in a very reasonable price. Mediatek MT6762v Helio P22 chip is planted inside Y91 which is next generation chipset with made on 12nm setup. Octa core processor with a clock speed of 1.95 GHz and 1.45 GHz is used in Y91 to process all the information without lagging. Dual camera is located on the backside which is based on 13 MP main lens while secondary lens is 2 MP while on the front side of Y91 by Vivo a 8 MP single lens is fitted inside the Notch. 64 GB storage is selected to come inside this smartphone where you can further expand this storage of Vivo Y91 with an SD card. Samsung Galaxy J6 – Maximize The Screen Resolution! Samsung has finally launched the Galaxy J6 that was missing from the scene for quite a long time not only that but J4 is also released to fill the gap of mid-range series. It shows that definitely Samsung Galaxy J6 and Samsung Galaxy J4 are going to be most Pocket-friendly devices of this year because J7 is still in market with many names and now it is time to bring missing Samsung’s Galaxy J6 back in rumors. Today we got the glimpse of its specifications which has showed us that it will be better then previous J Series phones. Samsung Galaxy J6’s launch is indicating that it will be fresh start for this brand which includes lots of new things in smartphones like Full Vision display, enhanced chipset and many more. 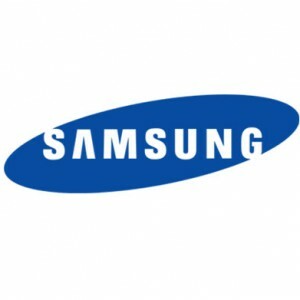 Galaxy J6 by Samsung is going to launch with Exynos 7870 chipset which is used in the last years smartphone. On top it octa core processor is installed to smoothly flow the processing of Samsung Galaxy’s J6. Clock speed of processor is 1.6 GHz which is indication that it will not let you down while running intense applications. 2 GB RAM for Samsung J6 was not enough that’s why 3 GB of RAM is used to moderate the specifications of the device. Next special feature of this phone is its software which is Android’s OS v8.0 Oreo that comes out box with Samsung Galaxy J6 and for the topping of this stock Android OS you will get Experience 8.0 user interface developed by this Korean giant. If you are from Pakistan then Galaxy J6’s dual SIM card support is going to compensate you a lot because your both cards will work at same time. Huawei Y7 Prime 2019 – Phenomenal In Performance! Huawei is working on its Y7 Prime series and now in year 2019 you will see a new look of this smartphone where its design seems to be more classic and its design is the main attraction of this device. For the smooth and firm grip Huawei Y7 Prime 2019 got rounded edges on the backside of the device. There is only two color options available of this phone which includes Black and Aurora Blue that looks great on Huawei’s Y7 Prime 2019. It also got new look in its display and water drop notch of this smartphone looks pretty decent on the top of the display. 1520 x 720 pixel resolution of Huawei Y7 Prime’s display is phenomenal that view perfect amount of the colors compared to the nature of the things. 6.26 inch display size is massive one and in Y7 Prime 2019 by Huawei this brand used the IPS matrix which is almost perfect display in the smartphone world. Looking for better smartphone in reasonable price then we can say that Huawei Prime 2019 is true champion that comes in decent price with lots of new and attractive feature that Samsung did not provided in most of its devices. Front and back camera of Huawei Y7’s Prime 2019 has got Artificial intelligence which can detects the moods and click the images according to your expressions and make it better by doing some editing. Y7 Prime 2019 used AI tech in its battery saving program to o that detects the battery usage and adjust the background apps usage according to the battery power. Prime 2019 got 3GB of RAM and 32GB of internal storage and Qualcomm Snapdragon 450 chipset is improving the performance of the device with all of its power. OPPO A5 – Naughty With Notch! You Know OPPO gonna launch A5 which is a successor to A3 which was unveiled some month before and now a new sibling of that phone is here to impress its audience with new colors and design. OPPO A5 has got new design but resolution of the display is reduced to 720 x 1520 pixel where screen to body ratio of 6.2 inch IPS screen is 81.2 % which is also less then previous OPPO A5’s sibling. Instead of vertical dual camera now a new trend is introduced in which dual camera on back side is placed horizontally instead of keeping the old trend. OPPO’s A5 got dual camera lens consist of 13 MP + 2 MP where 13 MP lens is capable to autofocus objects while secondary camera is only capable to measure depth of image. OPPO pointed A5 towards the new heights but sometime to reach some place in the market you have to sacrifice a lot and this what this brand did with it phone. 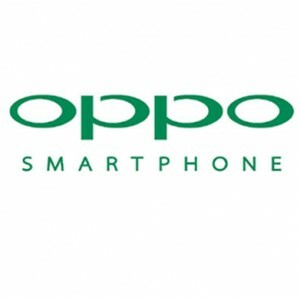 OPPO enhanced the camera section of its upcoming phone A5 but with that they reduced the resolution of scree. Hardware of the phone is also changed and now Qualcomm Snapdragon 450 chipset is hired to run A5 instead of MediaTek which was previously used in its elder sibling. 1.8 GHz will be the clock speed of an octa core processor. Adreno 506 is going to bring the enhanced graphical performance in A5 while for the multi-tasking 4 GB RAM of this phone has the responsibility. 32 GB of the built-in storage is selected instead of 128 GB used in the previous phone where A5 also has a dedicated SD card slot which is capable to expand the internal storage up to 256 GB. Software of the phone is Android OS v 8.1 Oreo where A5 by OPPO has Color OS 5.0 is used to mask the basic Android operating system of the phone. Front camera of the phone is limited to 8 MP as used in previous sibling of OPPO A5.